Open Data Survey: Your contribution could shape future policy! 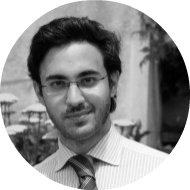 This is a guest blogpost by Nikolaos Theodorakis, Lecturer at University of Oxford. If you would like to write for us, email community@opencorporates.com. Researchers at the University of Oxford and the University of Nottingham are organising a large-scale open data survey. The research is part of an EU-funded project on Open Data. The project involves Austria, UK, Italy and Spain. University of Oxford, University of Nottingham and the UK Chapter of Transparency International have been entrusted with the UK part of the research. As part of this project we are exploring the characteristics of users of Open Data, their motivations for accessing open databases and their opinions regarding the value of Open Data. We also want to document how open data has impacted society. We would therefore be delighted if you would take part in our research, the link to which can be found here: http://goo.gl/forms/rZwZNfyrCT . It will take only a few minutes of your time and your contribution will inform the academic and professional community working on open data. All the responses will be kept strictly anonymous and in accordance with the Data Protection Act. We thank you in advance for your time and look forward to hearing your views! Nikolaos Theodorakis is a Postdoctoral Research Fellow and a Junior Research Fellow in Law at Kellogg College and Pembroke College, Oxford. His research agenda currently span across three pillars: different forms of Corruption and how they intertwine with International Development; effective regulatory regimes for banking institutions and corporations; and relevant compliance strategies pertaining to International Trade and Competition Law. He is currently a country assessor and peer reviewer for the UK Chapter of Transparency International.